Thicker than regular socks, the Feetures! Elite Max Cushion No Show Tab Socks offer enhanced protection with thicker and denser material giving you extra padding where you need it most. The iWick material gives you excellent moisture management to keep your feet dry as always, but this special blend of fibers also gives you a surprisingly plush feeling that is sure to comfort you on your next long run. 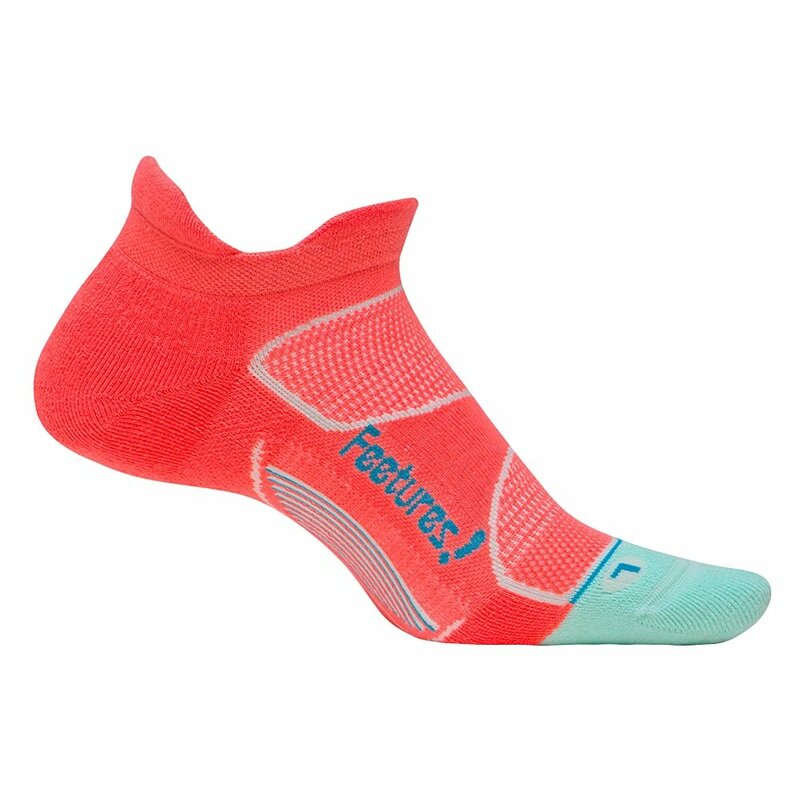 Sock Lock Technology keeping the asymmetrical socks in position for support and comfort, and the No Show Tab design keeps all that tech tucked down into your shoes.